Let's be real today, y'all. These last couple weeks have been really rough and I'm really not sure why. 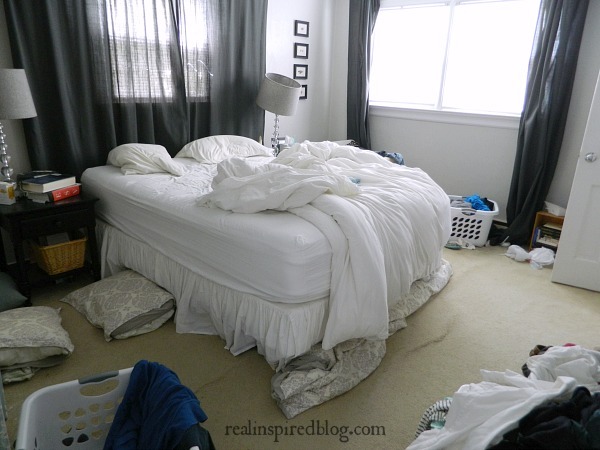 Every bedroom is covered in laundry. 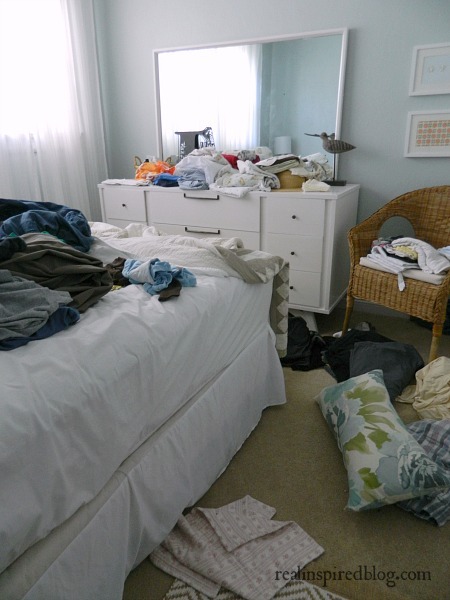 Clean laundry that has yet to make it into closets and drawers. Old maternity clothes, too small shoes(darn you, pregnancy! ), the boys' outgrown clothes, a random lone sock. 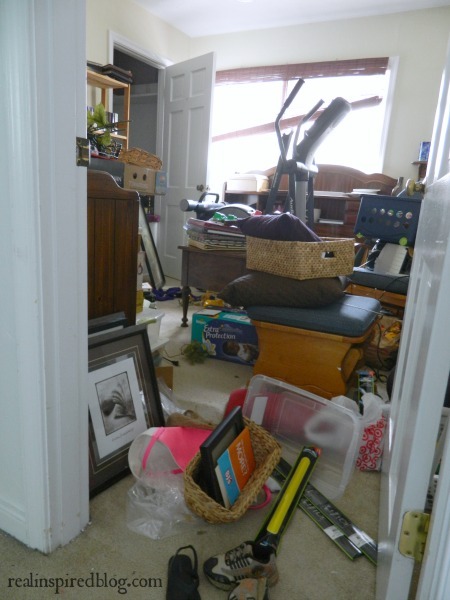 Our future exercise/craft/guest room is nonfunctional. Nothing has a place and, as a result, everything is out of place. 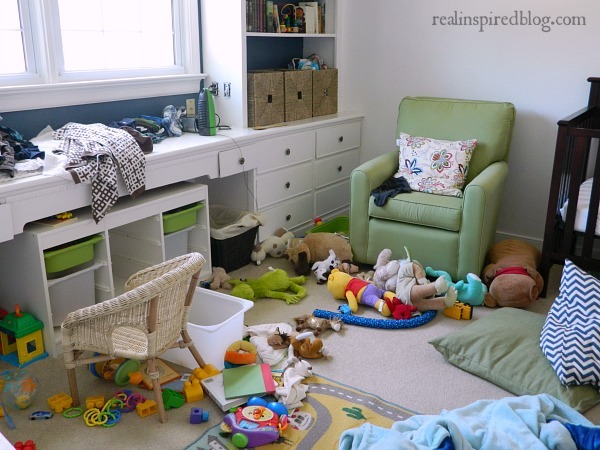 This is the next room in my organizing sights. This is just the upstairs. And I left out the bathrooms. You're welcome. Potty training is going on downstairs. 'Nuff said. Sometimes things get away from me and I get overwhelmed trying to rein it all back in. Is it like this all the time? No, but it is usually messier than I care for it to be. I'm not looking for you to throw me a pity party. I share this because I know there are other parents out there right now whose homes and lives are in a similar state. You may have 3 kids under 5 and no time to shower. You barely have time to eat let alone time to sit and sort through all those outgrown clothes your kid wore just once. You may have a husband that works a lot or you're going it by yourself(God bless you!). And I say that to myself as well as to you. Keep waking up every morning. Keep picking up those lone socks. Keep loving your littles. Keep trying. I know it feels like you're not making a dent in the piles. Believe me, I know. I'm there. Don't give up. Let's keep trying to make a beautiful home that's full of love. And let's give ourselves grace when we're messy and overwhelmed. Let's do it together.